Karen is a 1975 graduate of the prestigious Fones School of Dental Hygiene in Bridgeport, Connecticut and in 1990 graduated from Northern Arizona University's Local Anesthesia and Expanded Function Program. 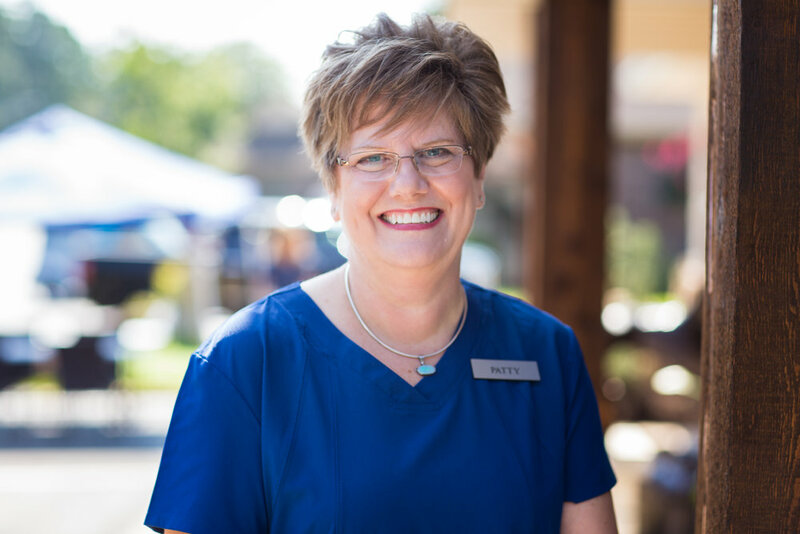 She has been a Registered Dental Hygienist for over 40 years and served as a Research & Development Consultant for Professional Dental Tech Group of Batesville, Arkansas. Karen and her husband, Dr. Mickey Matthews, make their home in Hot Springs with their 2 Shetland Sheepdogs, "Stella" and "Morgan". In her spare time, Karen enjoys golfing, dancing and gardening. Lauren is a native of Arkadelphia, Arkansas, a graduate of Ouachita Baptist University and the University of Tennessee Health Science Center, and the wife of our very own Dr. Raines. Lauren and Stephen met in the lobby of the Jones Science Center at OBU during freshman orientation their first week of school. The two hit it off from the start, and the rest is history. Welcome Lauren to the Village Dental family! Kristi, a longtime resident of Glenwood, has been with our practice since January 2013. Born in California, Kristi received her Bachelor of Science in Dental Hygiene from the University of Nebraska. She has practiced as a full-time Hygienist since 1991. She is also licensed to administer Nitrous Oxide as well as local anesthesia for patient comfort. She obtained her Collaborative Care Permit II to assist those in nursing homes facilities. Kristi spends her free time attending sporting events for their two sons and listening to live music. Kristi also enjoys long walks and playing the piano. Well versed in all areas of oral health, she is looking forward to the opportunity to care for all of your dental hygiene needs. Esther and Dennis, her husband of 40 years, moved to the Village in August 2011, from New York. Esther has been an office manager in a dental office for the past 34 years. Although it was hard leaving all her family and friends, she has met so many wonderful people from all over the country here. Esther looks forward to many wonderful years at Village Dental Group with her new family! Danielle has been in dentistry for 16 years and joined VDG in 2007. She and her husband Mark have two beautiful children, Emily and Tyler. When not working Danielle and her family enjoy boating, water sports, camping and attending their children's sports events. 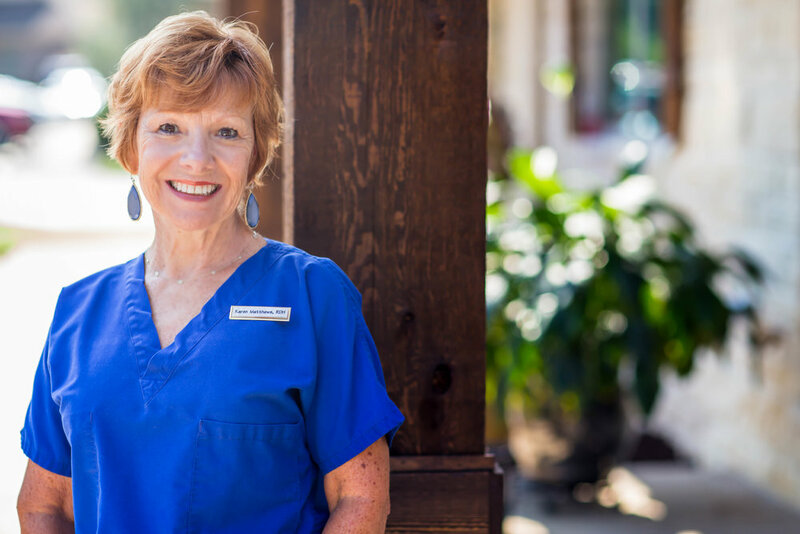 Patty's been in dentistry since 1981 and joined VDG in 2011. She and her husband, Duane live here in the village where they enjoy many activities the village has to offer. But her favorite is pickleball! Holly was born in Naples, Florida, but grew up in Amity, Arkansas. She now lives in Hot Springs and joined our family here at VDG in 2016. In her free time, she enjoys fishing, hiking, camping, and playing with her sweet little pet ferret, Talulah.